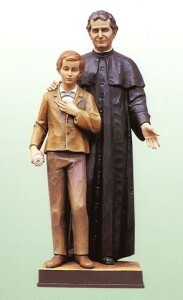 St Dominic Savio is the youngest non-martyr to be officially canonised in the Catholic Church. He owes a lot to the influence of his mentor, St John Bosco, with whom he went to train for the priesthood. Patrick Duffy outlines his life. Born at Riva near Turin, Dominic was one of ten children of poor parents: Carlo, a blacksmith and Birgitta, a seamstress. 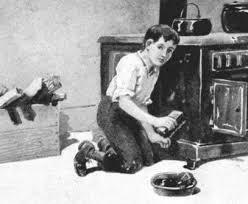 Already in his home, he showed signs of unusual holiness and was serving Mass by the time he was five. Dominic tried to do physical penances, like making his bed uncomfortable with small stones and pieces of wood, sleeping with a thin covering in winter, wearing a hair shirt, and fasting on bread and water. When his mentor Don Bosco and his confessor came to know this, they forbade it, as it could affect his health. Don Bosco told Dominic that as a schoolboy, the best penance would be to do all his duties with perfection and humility, and that obedience was the greatest sacrifice. From this time on Don Bosco notes that Dominic did not complain about the food or the weather, but bore all suffering cheerfully, and practised custody of his eyes and tongue. Just a month before his fifteenth birthday Dominic developed tuberculosis and was sent home to recover. On the evening of 9th March, he asked his father to say the prayers for the dying. His face lit up with an intense joy and he said to his father: “I am seeing most wonderful things!” These were his last words. Dominic’s remains are in the Basilica of Mary Help of Christians, built by Don Bosco in Turin as the headquarters of his Salesian order. 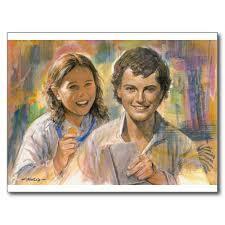 Don Bosco wrote his Life, which paved the way for his beatification in 1950 and his canonisation in 1954.